This is by no means the fastest of high-speed trains around the world, but should the test run go well, it will be a vast improvement for the current railways and one step closer to the speed that is standard in Europe. 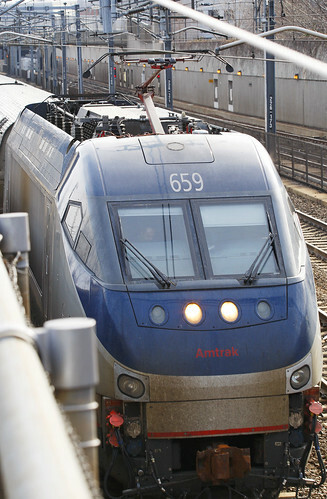 Amtrak is going to break the speed limit this week in the Northeast Corridor. The rail service announced Monday it will operate test trains overnight at 165 mph in four stretches from Maryland to Massachusetts. Acela Express equipment will be used for the tests, starting Monday night in New Jersey. All the locations may one day have regular 160 mph service. Amtrak says tests need to be performed at 5 mph above what is expected to be a maximum operating speed of 160 mph.